As the 7th Annual Health 2.0 Conference kicks off in Santa Clara, California, I can’t help but ask the question – how can we move faster? The good news is we are witnessing early success of transforming our health care systems, networks and culture of care to be patient-centric and outcomes-driven. Plus, we have watched how fast change can happen with online commerce (eBay, Amazon), travel booking (Travelocity, Expedia, Kayak), social networks (Facebook, LinkedIn) and communications (Skype, Twitter, GoToMeeting). But NOW the challenge is accelerating the adoption of proven advancements while the existing healthcare model is being forced to adapt. Collaboration. More and more, medicine is being defined as a team sport. Delivering appropriate care hinges on the nimble exchange of information, from second opinions to expert consults, and the ability to make the right referrals to the right doctor the first time. 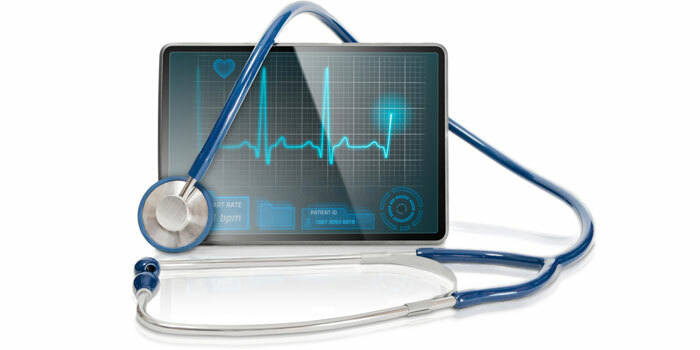 Today’s health systems, doctors, and the patients they serve are beginning to benefit from affordable broadband, new communications and collaboration platforms, expanded geographies and new medical teams focused around patients’ conditions – which Porter/Lee describe as “integrated practice units”. Semantic Web. World Wide Web pioneer Tim Berners-Lee envisioned a web of data that could be processed by machines, and health data may be where the dream is first realized. The proliferation of medical ontologies provides the building blocks and we’re nudging closer to truly intelligent search and data-mining paradigms. That represents a huge leap forward for doctors aiming to identify referrals and consults with precisely the right experience. Intelligent Templates and Workflow. These advances hold the promise of revolutionizing workflow and increasing interoperability by making EHRs more sharable. Clinicians and their patients stand to reap benefits from the outcomes research the data generates and the diagnostic protocols and treatment algorithms that result. Healthcare will be safer, more efficient, and more effective. Professional Social Networks. More doctors are connecting and sharing information on professional social networks like Doximity, QuantiaMD, and ShareCare. Recent data show that more than 65% of doctors use some form of social media for professional purposes, though the potential for physician collaboration is still much greater than these platforms can allow. Mobile. Doctors are increasingly incorporating online medical information into their daily workflow — researching patient conditions on a cell phone or tablet before, during and after patient consults. Some health systems are even devising “Twitter”-like services that connect the members of a patients’ care team, helping ensure continuity of care as patients move through the system. Patient Empowerment. Meaningful use provisions require deeper patient engagement, and it is coming. According to a recent study, more than 50 percent of hospitals have a patient web portal and increasing numbers plan to offer patients the chance to view, download, and transmit their own data and send their doctors secure messages by 2014. More health consumers are using social media to get health care information. The use of social media for healthcare research among patients rose 21 percent in the last two years, research shows. So — it is with optimism and curiosity that I plan to participate in the days ahead. Through joining our efforts we can more rapidly achieve our common goals of appropriate care, better outcomes, and healthier people.